To my all readers! There’s a Good News for everyone! Right now, Domino’s having an Exclusive Offer for my readers! Ok now, what is the code for redemption??? For my readers, Do quote BLG27 for the 50% off Pizzas! This is the unique code specially for my readers! Here’s the regular price for Domino’s Pizza! After you quote the unique code BLG27 a XL 15″ Pizza only cost you $17.90!!! What more great is! Domino’s deliver Pizza to your doorstep within 30 mins!!! You don’t have to wait for 45 minutes or longer for your Pizza to arrive! Super Duper Awesome Right???? Beside that, don’t forget to use their GPS tracker to track your order! Super exciting while seeing the changes of your order status! Don’t forget to quote BLG27 to enjoy the 50% off Pizzas!! p/s: By using this unique code you will not just getting 50% off Pizzas, you can also help me by winning the Domino’s Inter Bloggers Contest! Domino’s will track on the Pizza Sale Value from my unique code BLG27 and determine the winners of this Domino’s Inter Bloggers Contest .. This contest period will be from 18 June 2012 to 18 August 2012. Click on the banner ads on the right panel and start ordering NOW! Do download the Domino’s iPhone App too! 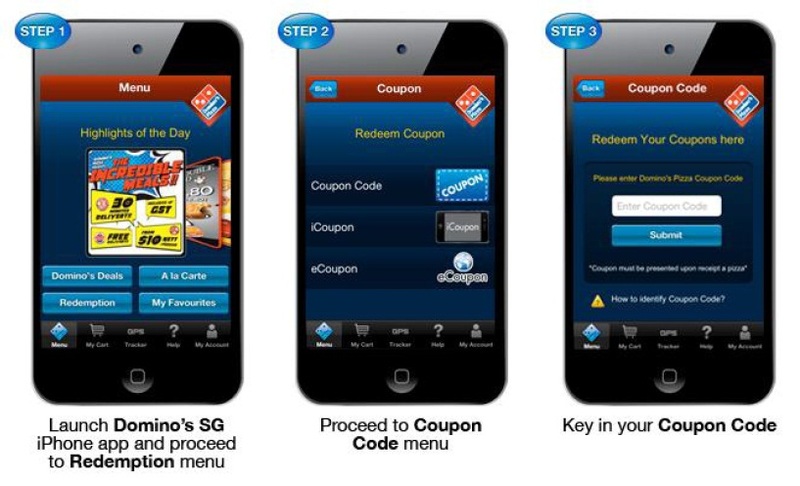 Here’s my previous blog post: Domino’s At Your Fingertips! Start order your Domino’s Pizza by using my unique code BLG27 from 18 June onwards to enjoy 50% off Pizzas!